HONOLULU – Hawaii Gov. 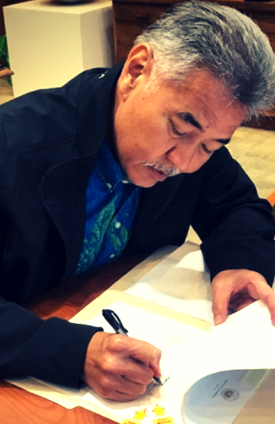 David Ige on Tuesday signed an emergency proclamation that will provide relief for disaster damages, losses and suffering caused by Hurricane Lane. The proclamation also serves to protect the health, safety and welfare of Hawaii residents and visitors. Based on the scientific information and expertise available, Hawaii is in danger of being significantly impacted by Hurricane Lane, whether or not the hurricane directly hits the state. The counties of Hawaii, Maui, Kalawao, Kauai and the City and County of Honolulu are in danger of experiencing high winds, heavy rains, high surf, storm surges and flooding that threaten to harm communities and cause extensive damage to public and private property across the state. The proclamation declares the counties of Hawaii, Maui, Kalawao, Kauai and the City and County of Honolulu disaster areas for the purpose of implementing emergency management functions. The proclamation also authorizes the expenditure of state monies as appropriated for the speedy and efficient relief of damages, losses, and suffering resulting from Hurricane Lane. The emergency proclamation expires on Aug. 29.